For most of my twenties I felt like such a failure. I wanted my life to really mean something, yet I felt lost, frustrated, and crushed under the heavy weight of all the unknowns. Through this struggle, I became extremely passionate about empowering college students, twentysomethings, and thirtysomethings with overwhelming amounts of truth, hope, and hilarity as we save ourselves from living a ho-hum “groan up” life. I learned that success in your 20s is not about them going as planned. But how you adapt, change, and grow when they don’t. 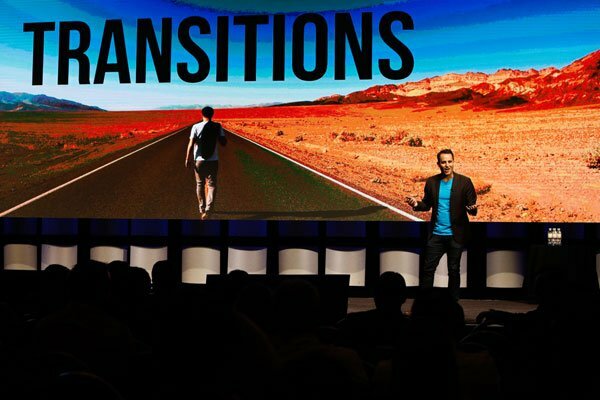 Now for over 13+ years I’ve been researching, writing, and speaking on the biggest issues, opportunities, and challenges facing Millennials, (and the organizations and leaders trying to connect with them). I’m the author of the new book 101 Questions You Need to Ask in Your Twenties (Moody Publishers), All Groan Up (Zondervan), and the best-selling book 101 Secrets for Your Twenties (Moody). It’s been a wild year as Target picked up my books as well, which has been an amazing opportunity to connect with more readers. 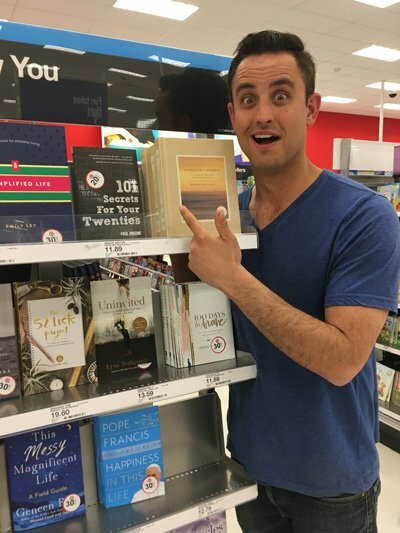 Here’s me below is quasi-shock to see my book in Target! 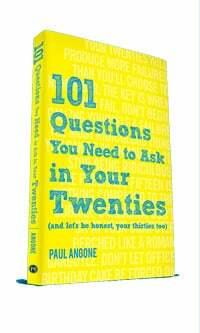 I’m really excited about my new book because to find important life answers in our 20s, we need to start with good questions. 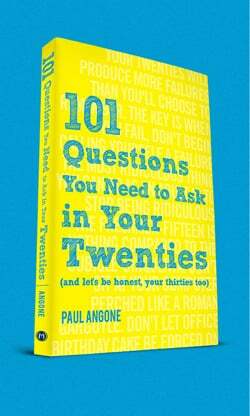 101 Questions is written in the same easy-to-read style and humor as my best-selling book 101 Secrets For Your Twenties, but this time we’re digging even deeper, culminating years of research into the questions everything twentysomething and thirtysomething needs to be asking. 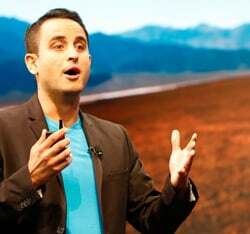 I am also a national speaker at universities and organizations, frequent contributor for publications such as Business Insider, Huffington Post, and Relevant Magazine, a business consultant with a master’s degree in Organizational Leadership where I help companies and Millennials work better together, and the creator of this website, AllGroanUp.com, which has been read by millions of people in 190 countries. First, this is a community dedicated to reminding each one of us that we’re not alone. Second, I strive to consistently dispense truth, hope, and hilarity through every article and video I produce. Third, I believe you are made to live your life dripping with intentionality, purpose, significance, and meaning. I believe you have your own unique Signature Sauce — giving the world a flavor it’s desperate for that no one else can offer. This Groan-Up life isn’t simple or straight-forward and we need a safe, real, hilarious space to talk about it. And possibly the encouragement to light your Groan Up pants on fire! You see — we’re all struggling. Yet, we’re all struggling to make it appear like we’re not struggling. If you’re struggling with the questions “what now, what next, and what do I do with my life?” then cozy up my friend, you’ve found your new home. This video helps sum it up. Now that We’re Friends, Can I Send You Free Gifts? I’d love to send you free chapters from all three of my books. Enter your email below and then check it for instructions on how to receive the free chapters from 101 Questions You Need to Ask in Your Twenties, All Groan Up and 101 Secrets For Your Twenties, as well as encouraging and insightful content from All Groan Up delivered directly to you every week. Still not sure if All Groan Up is for you? Here are seven signs you might want to put up your feet, grab your drink of choice, and stay awhile. 1. You’ve asked, “what now?” Almost. Every. Single. Day. 2. 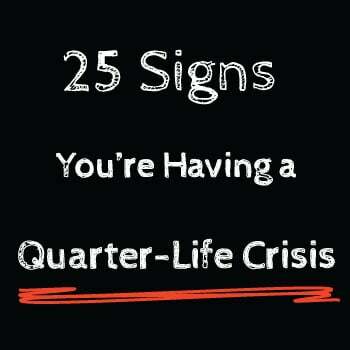 You feel like you’re struggling through a quarter life crisis that you swore you never would. 3. You’ve realized everyone’s too busy putting a PR spin on their own Facebook profile to care much about yours. 4. You feel alone in all the overwhelming twentysomething questions. 5. You’d pay top dollar for a moment of clarity. 6. 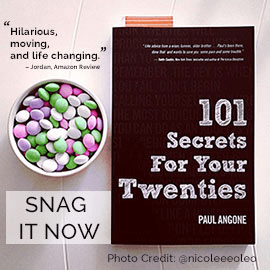 You want the secrets to living your 20s well. 7. You know now that the grass is always greener on the other side, until you get there, and realize it’s because of all the manure. If you want to dip your feet in some Groan Up Goodness here are some of the top articles, discussions and videos to check out. I’m an author, speaker, humorist, and the creator of AllGroanUp.com — a place for those asking “what now?”, which has received millions of visitors from over 190 countries. 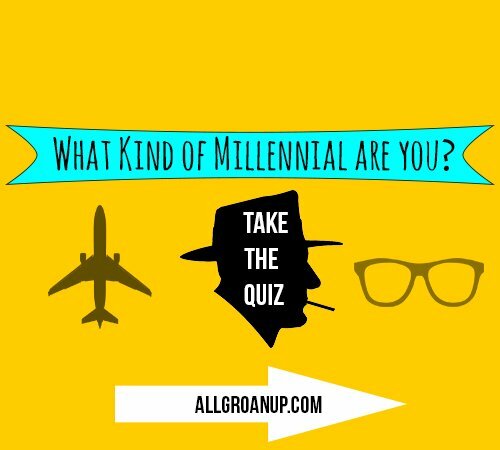 I started All Groan Up in 2011 out of my Masters program in Organizational Leadership, where I focused my studies on Emerging Adulthood and generational differences between Millennials and Boomers. I grew up in Colorado, have my Communications Studies degree from Westmont College and Masters in Organizational Leadership from Azusa Pacific University. I live in Denver with my beautiful wife and three wonderful children. Wow, you’re still reading this? Mazel tov to you, my friend. If this website doesn’t change your life, I promise a 150% money back guarantee. Gosh, I don’t think I can say much else. Want to now say something to me? Here’s a snazzy contact form for you to keep the conversation going. Excited to connect with you!